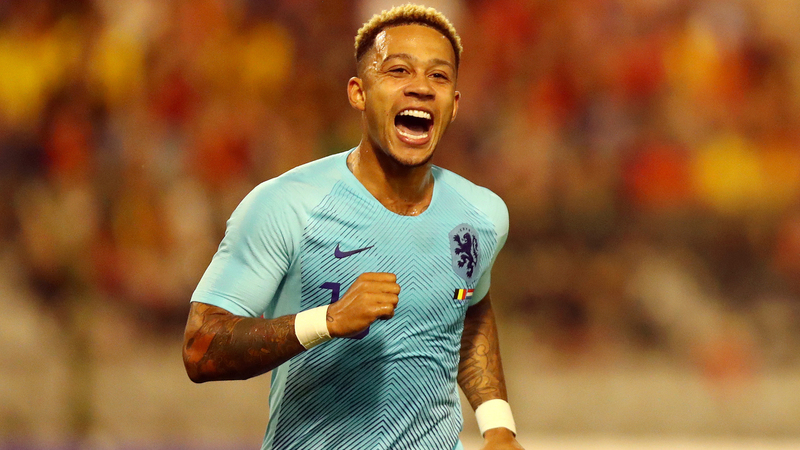 Netherlands coach Ronald Koeman sung the praises of Memphis Depay after the attacker continued his fine form against Belgium. Depay set up Arnaut Groeneveld's equaliser to help Netherlands to a 1-1 draw in the friendly in Brussels on Tuesday. That came three days after the Lyon man scored in his team's stunning 3-0 Nations League win over Germany, while Depay has a goal and two assists in Ligue 1 this season. Koeman was full of praise for the 24-year-old, who played 90 minutes in both games this international break. "He's great, he's turning into a top player. That's great, we need that, especially in attacking positions," he said. "He's showing that at Lyon, and at Oranje now as well." Koeman said Depay was unfairly judged, having struggled during a stay of a season and a half at Manchester United. "He knows he's one of the first names I write down every time. He feels that, he talks about that," he said. "He needs to be important outside of the pitch too. He's doing great, he's grown a lot. He works with his team-mates. Many people have a wrong idea of him. "I once talked to him when we wanted to bring him in at Everton from Man United and we immediately had a connection. "He has freedom here, that's what he needs to be the best Memphis. He can do that in this team. When he's a lone striker he tends to drift back too much, so we have a hole up front. "But when he plays between the lines, like in the last part, he was so strong. He's turning, attacking, he's a joy to watch."